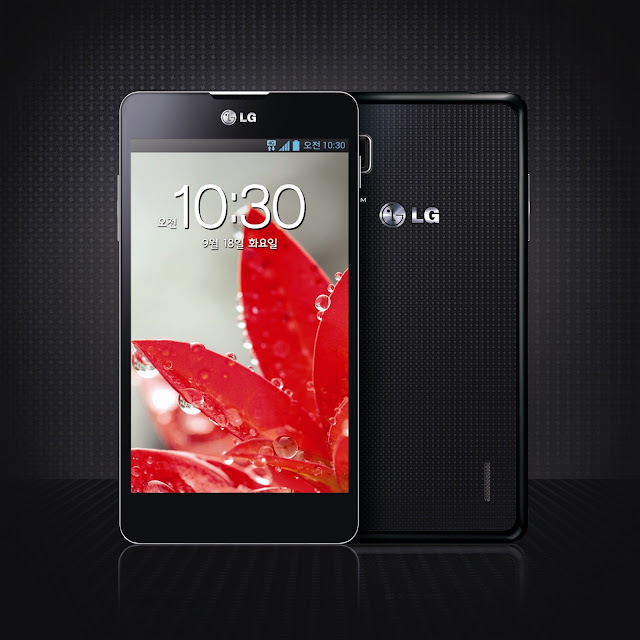 LG now unveiled its new flagship smartphone in India, named as LG Optimus G and priced at Rs. 34,500 INR. Optimus G is 2G, 3G, and 4G enabled Android smartphone. It come with 4.7 Inch HD capacitive touchscreen with IPS technology, 768x1280 pixel screen resolution, Corning Gorilla Glass protection, and 16 Million colors. The dimension of the smartphone is 131.9x68.9x8.45 mm and 145 g weight. It runs on Google's Android v4.1.1 Jelly Bean operating system and powered by 1.5GHz quad-core Qualcomm Snapdragon S4 Pro processor with 2GB RAM for super performance. Currently most of the smartphone available 1.0 GHz processor and 1 GB RAM, so Optimus G definitely features super performance than other smartphones. It's Adreno 320 Graphic Processing Unit features high quality graphic performance when playing games or watching HD videos. The smartphone built-in with 13 Megapixel rear camera with LED flash in addition to a 1.3 Megapixel front facing camera with video calling facility. This smartphone sports 32 GB of internal storage space. It has not facilitated with card slot. It come with Bluetooth 4.0, 3G, 4G, Wi-Fi, DLNA, NFC, GPS, and USB 2.0 connectivity options. 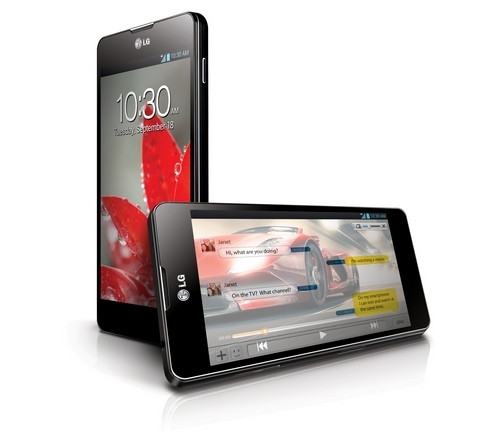 LG Optimus G smartphone is powered by a 2100 mAh Li-Po rechargeable battery it features up to 335 hrs standby time and up to 15 hrs talk time on 2G network. For entertainment needs it come with a Audio player, Video player, and FM radio with 3.5 mm Audio jack. SMS, MMS, and E-mail messaging features enabled and it support Java via Java MIDP emulator. The other feature is user can split the screen in to two parts and work with two screens simultaneously and each can have its own application interface. Its QMemo option allow user to draw and write on the captured screen shot and share it quickly.